This entry was posted on Saturday, December 11th, 2010 at 6:20 pm and is filed under Kadampas' blogs. You can follow any responses to this entry through the RSS 2.0 feed. Both comments and pings are currently closed. This seems to be more about PR than genuine issues , why are you doing this? Thank you for asking James. It is because genuine issues are not all mistakes or complaints. I know we say in the world that no news is good news, but truthfully it is both more balanced and realistic to mix the good news in with the bad. It gives a bigger picture. This does not mean that problems are not being identified and addressed — they should be, and they are. However, sharing positive experiences of the NKT can help prevent people from developing an exaggeratedly bad impression of the entire NKT. With an exaggerated perception of faults, it is hard to solve problems because it is hard to identify their causes accurately. Thanks for the reply , but surely there are other places for that on the internet? Being the cynic i am , all the comments after this are just going to be seen as sycophantic are they not? Well for my part I think if the site is new kadampa truth – and it’s dealing with the truth of people’s experience then it should, to be honest, show all aspects. And this one post really emphasising the positive, amongst all others which, let’s say, less clear. Seems most appropriate to me. Especially as it’s given me a chance to read some very moving stories on the blog links that I think can remind all good people, not just NKT what preciousness and potential and difficulty life offers. 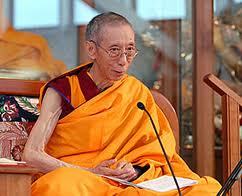 Rejoicing in the beauty of Kadampa Buddhism is not being sycophantic. There are thousands of people who are having genuine, profound spiritual experiences of Je Tsongkhapa’s teachings by practising Kadampa Buddhism, we mustn’t forget this in the slew of negative comments about the NKT. Of course there are issues to deal with, but we are in samsara, so problems are inevitable. I am aware that some people have had bad experiences living in centres, etc and I feel sorry that their experiences might tarnish their view of the teachings, which are absolutely incredible. I can’t help but be enthusiastic about Lamrim, Lojong and Vajrayana Mahamudra as they are exhibited in the good example of most Kadampa practitioners. Yep, Wisdom Moon, you’ve nailed it for me. Kadampa Buddhism is incredible, full of common sense, and it works. There are a ton of amazing people out here in the world practicing it — I’ve met Kadampas running homeless shelters, offering free legal aid, helping in townships, teaching in schools, healing, nursing, volunteering in animal shelters, etc etc. Their good example will at some point be noticed by the wider community, especially if some of them start blogging about their experiences?! I wonder if part of the problem some have with the NKT is that a number of people both in and out of the NKT have a (I believe) misconception that all “real” Kadampas do is hang out at NKT centers, and that all who are not actively teaching, administrating or on a full time study program are somehow not as “virtuous” or Kadampa-ey as those who are, even if they are doing great stuff at work and at home. The future of any tradition depends on the people who will join its community of practitioners. Do a web search on the NKT and you’ll find two kinds of responses: some people opposed to the NKT saying many negative things; and many positive things said by the NKT itself. Oddly missing are positive comments from the present community of practitioners themselves. This gives the mistaken impression that the only people who think any good of the NKT are those few who officially represent it, and one is perhaps left to guess that everyone else must quietly disagree. How inspiring it would be to see positive comments posted around the web by those who practice these teachings on how what they’ve learned has benefited them in their daily lives. This would give a chance for people new to Dharma to read about personal examples they might feel a closer connection with, and so be encouraged to learn more and maybe even one day join them. Since no tradition could have any future if its own community didn’t freely choose to speak openly and positively about it, hopefully more Kadampas will do so! * On the Tampa Bay Florida Facebook page alone, servicing one of the NKT’s medium-sized Centers, there are 1000 followers. * Teachers in New York, Texas, Brazil, Mexico and other places each week have audiences of hundreds. It is impossible to say exactly how many students attend NKT Centers every week, but it is certainly thousands. * Each International Festival attracts thousands of attendees. * Dharma Celebrations worldwide each typically attract hundreds of attendees. * Several hundred members of the Survivors’ group are still Kadampa practitioners who are just checking what is being said about them. * The vast majority of Survivors never post anything.